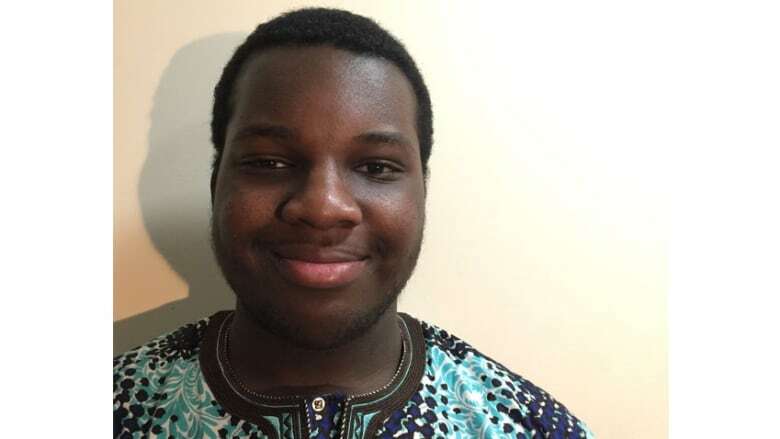 Peter Ola Paul, 16, is the winner in the Grades 10 to 12 category of The First Page student writing challenge. Greater Than Or Equal To by Peter Ola Paul is the winner of The First Page student writing competition in the Grades 10 to 12 category for 2018. Students across Canada wrote the first page of a novel set 150 years in the future, imagining how a current-day trend or issue has played out. Nearly 2,400 students submitted their stories. Paul, a student at Fort Richmond Collegiate in Winnipeg, Man., tackles genetic modification in Greater Than Or Equal To. All right Aji. Deep breath in. "ONE, AND..." a pause arrives, building up a crescendo of excitement. The tension in the air is so thick, molasses would float. With an expectant grin the Gamemaster finally yells the awaited word "GO!" Instantly kids begin to cascade out and race forward hollering like a pack of hyenas. A voice booms out through the air. "Sup everyone, y'all know me as Psycho P. and Ima be your host today, so you in for a treat." A group breaks off and makes for a river. "With Dylan as their leader, it looks like the Hounds are trying the colossus method." The group stops at the base of a waterfall. They gather parts from their packs and assemble a suit with the speed you can only get from hours of practice. "Looks like they think they can handle it, but with a mod like Dylan, that's probably more than a thought. I mean, check that bod. He was probably benching 80s, one month before he could walk — so... fresh from the oven." That gets a couple laughs from the watchers who actually listen. Most are too busy observing the events unfold. "In other news the forerunners have nearly reached the wall. Calling it now, Aji is gonna be there first." People move to the edge of their seat, and you can feel the adrenaline pumping through the air. "They've arrived, and in a turn of events that absolutely everyone expected, Aji reaches there first, but what do you expect, he's modded so much he's practically a different species." This one gets a greater response but the main focus is still on me. The closer I get to the cliff, the more I speed up. As I reach the edge. While wearing a grin on my face, I jump. I could never abandon this course; The wind gives me life. If a mountain goat tried what I did, it would break its legs. Although, anything dumb enough to do that should already be dead. Veteris natural selection ensured that. I simply bound down the cliff and let my legs give me power that no human can achieve. Having the ultimate body at the pinnacle of perfection, without having to work for it, what could be better?